The Truth About Secret 770 Accounts – Are They Legit? What is the Secret 770 Account and Why Do They Keep Changing Its Name? Have you been seeing advertising about the “770 Account” from the Palm Beach Group and are frustrated because they won’t tell you what it is? Here we explain what a 770 Account is, how it works, and how to find a reputable 770 account provider. The 770 Account also goes by other names, including the President’s Secret Account, the 501(k) Plan, the Invisible Account and Income for Life. And another name for it is the 702(j) Retirement Plan, attributed to President Ronald Reagan. You may wonder why it goes by so many different names? There’s a reason for that which I’ll reveal in a moment. The 770 Account is a supercharged dividend-paying whole life insurance policy that grows cash value much faster than a traditional whole life policy does. 770 Accounts also enjoy tax advantages spelled out in IRS Section 7702. So, how did this type of supercharged life insurance policy get the strange name of “770 Account”? The 770 Account is simply the name the new kid on the block, Palm Beach Letter, gave to the Bank On Yourself strategy to avoid trademark infringement and to create mystery. Why is it necessary for the Palm Beach Letter to create mystery? The publication – which is a franchise of Agora, Inc., a highly successful publishing company – is a subscription-based investment newsletter. While you can learn everything you could ever need to know about Bank On Yourself right here on this website and in our Special Report and ezine (which you can subscribe to right here for FREE), the Palm Beach Letter wants you to pay to get the details. Second, the moment you subscribe to Palm Beach Letter, you will be barraged with daily emails urging you to subscribe to their endless investment advisory services and products… which cost up to $5,000 each – or more! It never ceases to amaze me how many variations on a theme they seem to be able to come up with! Why Do They Keep Changing the Name of the 770 Account? It’s all about the marketing. Palm Beach Letter is so profitable that it can afford to invest millions of dollars on advertising and hiring the best copywriters in the world. However, at some point an advertising campaign goes stale. The cost to acquire a new prospect who is curious about what an Invisible Account is, or what the President’s Secret Account or Income for Life is, becomes too high. And that’s when they have to change the name and create a new mystery around it. Based on the sheer volume of advertising from Palm Beach Letter I’ve seen just on this concept, I’d wager it’s one of their most successful marketing hooks yet to get people to subscribe to their newsletter. They HAVE to change the name periodically, or they’ll miss out on all those profits when people subscribe, and then get hooked into upgrading to the rest of their (much) higher-priced advisory services. Elsewhere they say it has “a contractual guaranteed minimum growth rate of 4%.” That is both inaccurate and misleading. Yes, your cash value does grow by a guaranteed annual amount, and the growth gets better every year you have the policy. But it is not equivalent to a 4% annual guaranteed return. According to our sources, who are the most knowledgeable in the industry, those values are part of a complex formula, and 4% is the interest rate used to calculate the “present value of all future benefits,” and is not an interest crediting rate. Now doesn’t that make it all as clear as mud? But that’s why at Bank On Yourself, we never say these policies are guaranteed to grow by 4% each year. However, if you want to see what the actual long-term historical return of a dividend-paying whole life insurance plan has been, watch this video that calculates the return of a real policy issued in 1969. 2. Over at Palm Beach Letter, they do regular seminars on their favored financial strategies for their staff members, and sometimes distribute verbatim transcripts of them, which also contain misinformation. Tom Dyson, who is the Publisher of the Palm Beach Research Group, gave a seminar on the Income for Life (770 Account) strategy and used one of his own policies as an example. As captured and revealed in the transcript, Dyson reported that he’s putting $2,700 per year into the policy that will “grow to be worth $980,000” after 42 years of funding it until he’s 80 years old, with a total premium paid in of $113,000. That got my attention because my family has 20 of these policies and none of them will perform the way Dyson claims his will, given the same premium paid into the plan. So I took the details to the Bank On Yourself policy design experts. Collectively, these folks have designed more than 10,000 of these supercharged policies. I asked them to duplicate Dyson’s results, and the only way they could do it was by adding the cash value AND the death benefit together at the age of 80. But that’s not how these policies work! If I ever said something that ridiculous, I’d be skewered. But I’ve heard nary a peep of protest over Dyson’s grossly misleading statement. Either it’s a benefit of being part of the good ol’ boys network, or nobody is actually paying close attention to what Palm Beach Letter says and bothers checking it out. One of the Bank On Yourself Advisors who subscribes to the publication did ask them about this, but received no response. At Bank On Yourself, we do check it out. It’s been my life’s mission since 2002 to educate folks about the power of the Bank On Yourself concept. I feel so strongly about this that I wrote an entire New York Times best-selling book about it, The Bank On Yourself Revolution, if you want to learn just about everything there is to know about it. I’ll admit that years ago, we relied more on hype, too, rather than doing the painstaking research necessary to get all the facts. But I’ve learned that hype is not necessary. And I fact check everything technical I write about the concept with top experts in how the product works. 3. The Palm Beach Letter misses a key way to increase the growth in a 770 account. In Chapter 6, they discuss how a knowledgeable agent will add a Paid-Up Additions Rider to your policy to increase the growth of your cash value, while cutting the advisor’s fees by up to 70%. However, a truly knowledgeable advisor knows there are two riders that must be incorporated into your policy to maximize both the cash value and the death benefit over time. To learn more about how these two riders affect the growth, and why you should walk away from any advisor who doesn’t include both of them, check out this article about how to structure a dividend-paying policy properly. Then learn how to find a 770 Account provider who will make sure your plan is set up properly here. These advisors know which life insurance companies have the best policies for this concept and can help you open a 770 Account that’s custom-tailored to your situation. The Palm Beach Group tells you they’ll give you the contact information for the advisors they recommend for setting up your 770 account when you purchase their book about it. But beware! One of their top recommended experts wrote a book advising readers to take retirement income from the plan in a way that could result in your policy lapsing and you getting hit with a big tax bill! A Bank On Yourself Authorized Advisor would never give you advice like that, and they undergo rigorous training and testing to make sure they really understand the ins and outs of these policies. This is a bit irritating given that Bank On Yourself has been promoting this concept since 2002. I’ve written two New York Times best-selling books on it. Articles and interviews on the topic have appeared in thousands of publications and websites. In fact, our surveys have shown that anywhere from three to five out of every ten people surveyed say they’ve heard of Bank On Yourself, depending on where they’re located. The folks at Palm Beach Letter have spent many hours investigating this strategy and came to the same conclusion I did: Properly structured dividend-paying whole life insurance is the 8th wonder of the world. Through their massive advertising campaign, they have given the concept even more exposure and credibility. 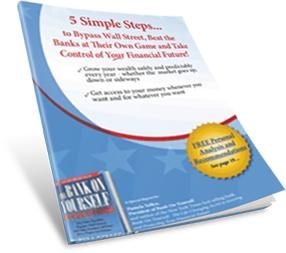 Download our FREE Report, 5 Simple Steps to Open a 770 Account and Bypass Wall Street, Beat the Banks at Their Own Game, and Take Control of Your Financial Future, right here. No two plans are alike – yours would be custom-tailored to your unique situation, goals and dreams. To find out what your bottom-line numbers and results would be if you added Bank On Yourself (the 770 Account) to your financial plan, simply request your FREE, no-obligation Analysis today. You’ll also get a referral to one of only 200 Authorized Advisors with advanced training on this concept, who will set up your plan properly and can answer any questions you have. Send me some more details and information. In 1991, I invested in a $20K whole life policy with NY Life, which would invest the money in government and secure corporates. The first two years of my premiums were taken by NYL and its agent. Then in 2003, after more than a decade of a declining interest rate environment, I was asked to pony up more money because the interest rates were no longer adequate used to pay the dividends needed to feed the policy. I (unfortunately after the fact) had paid a retired actuary to analyze the policy. He told me that it would take 20 years from the time I bought the policy for the tax benefits just to offset the costs of the policy; his analysis didn’t even touch on whether I would need togo out of pocket to keep the policy in force. In 2003, I cashed out the policy and got my initial premium back. For 12 years, all I got out of this was a free death benefit. Regarding the policy you bought in 1991, if it was truly a whole life policy, the premium is guaranteed never to increase. So if you “had to pony up more money,” it’s because you stopped funding your policy out-of pocket and let the policy values pay the premiums. That is certainly not a good idea to do only 10 years after starting a traditional whole life policy, UNLESS the policy was specifically designed to be funded for a shorter period of time. I’m willing to bet that your policy was not. So, open your mind and download my FREE Report to get the facts! Mark, sounds like you had purchased a Universal Life policy which did great while the interest rates were high. However, once they dropped it didn’t keep up with the annual rising cost of insurance so therefore you would have to raise your premium to maintain the policy. This is the difference between a Universal Life policy and a Whole Life policy. With Whole Life, the cost of insurance never increases and the premium never increases. I find and fix these all the time with seniors. It’s a shame because people don’t know the difference and agents don’t explain it. Pamella, you did a great job exposing the marketing of the “770 Account”, which turns out to be a little known and misunderstood investment vehicle that has been around for quite some time. These guys definitely have great ad copy writers, however your analysis cuts through the fluff well. What’s more is that Bank On Yourself provides much of this information for free. Following! What I want to know is what loophole is supposed to close by April 30, 2016? According to the looooooonnnnnng video by Palm Beach, some loophole was closing at the end of this month. That reference was to a change in the Social Security laws. We don’t blame you for not wanting to hang on til the end of those loooooooooooong videos Palm Beach Letter churns out! If born before 1969 ….supposedly there is a cut off getting one’s name On the list before cut off date of April 30, 2016….as after that date one may not get as much as $60,000. in their life while on SS? // Is this a scam of mis-informed information? That was a pitch from Palm Beach Letter about the change to the Social Security rules (file and suspend) that occurred as of April 30, 2016. It was widely publicized, but as is typical, Palm Beach has to create mystery around it so they can sell you the same information you can get elsewhere for free. What is the minimum balance? Can 770 accounts be withdrawn at any time tax free? ​770 accounts or Bank On Yourself plans use​ ​whole ​life insurance policies with paid up additions riders that turbocharge the growth of the cash value in the policy. Since it’s not a regular bank account, the term “minimum balance” does not apply. 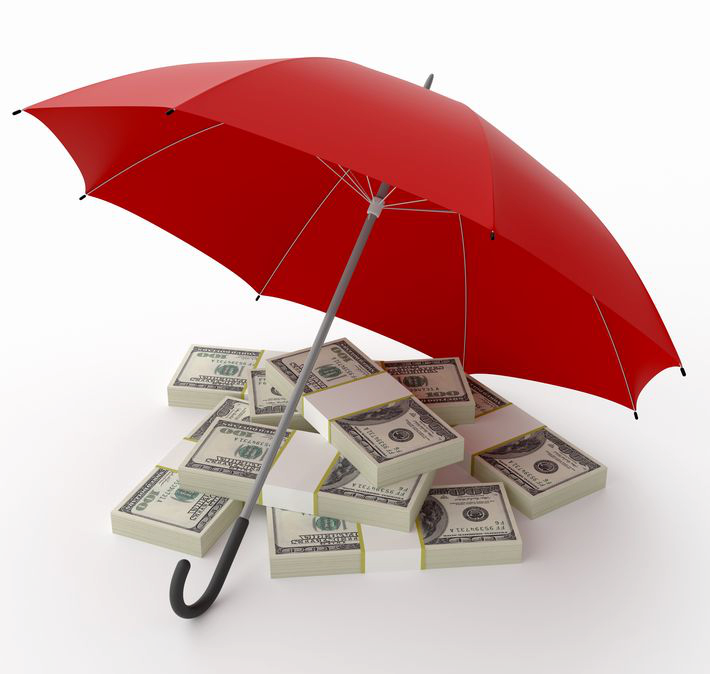 Dividend withdrawals and loans can be taken from a Bank On Yourself policy with no taxes due, under current tax law. To find out how you could benefit from a custom-tailored plan, request a free, no-obligation Analysis here. Bank On Yourself (770 account) is NOT a one-size-fits-all plan. There’s no pre-set amount a person would put into a plan, because the plan would be customized to YOUR unique situation, goals and dreams. If you’d like to take advantage of a no-obligation Bank On Yourself Analysis, you can request it here.